Sound theatre is a performance art of special purity, cousin to music. 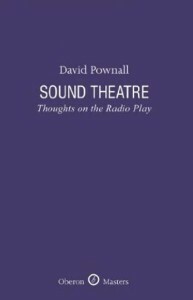 David Pownalls Sound Theatre is an expert guide to the art of writing drama for the radio. This book is sure to become the essential handbook for anyone wishing to write for a listening audience. However this is not merely a book about authorship, it is also a thoughtful meditation on the nature of sound and how it shapes and colours our daily experiences. Presented as a series of short missives, both whimsical and profound, that collectively form an intimate portrait of the author and his artistic philosophy. Forming part of the Oberon Masters series, this new book provides a great insight into writing for a unique and much cherished media.